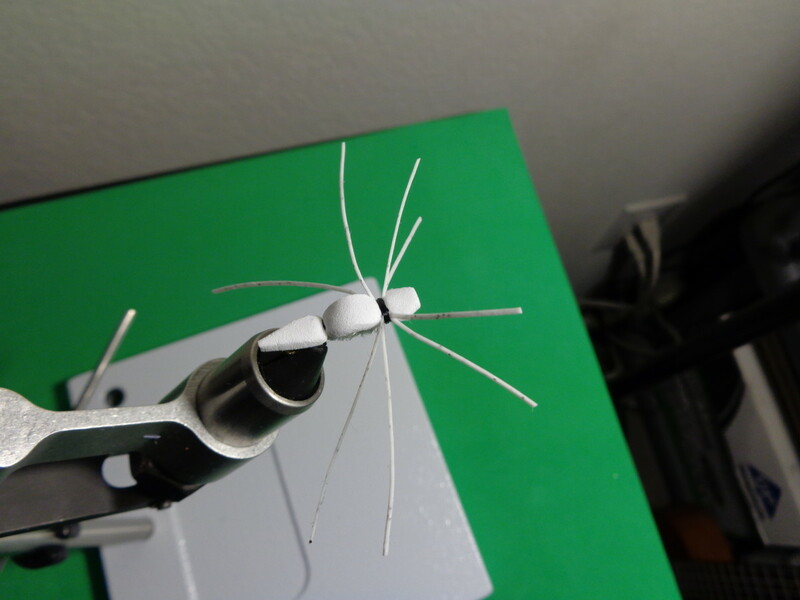 The Foam Rubber Grasshopper is a simple fishing fly that is easy to tie and requires minimal material. 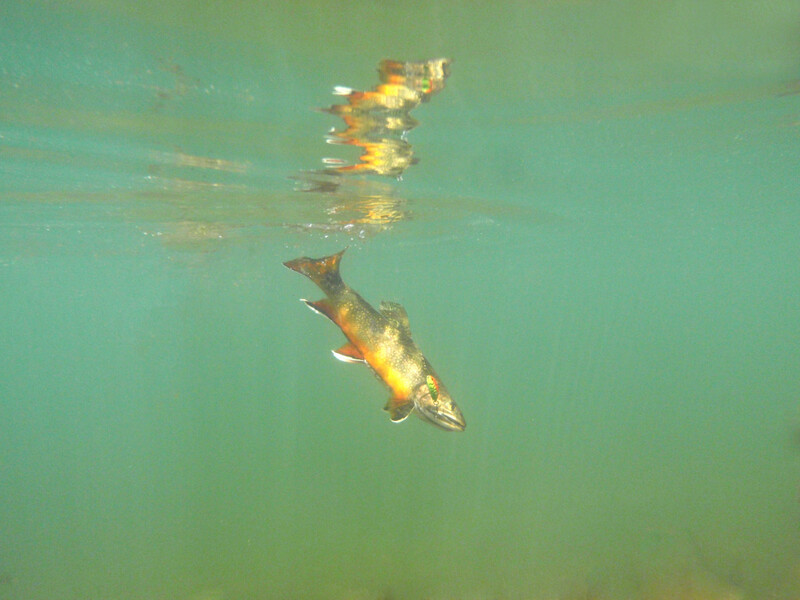 However, don't let this detract from using one as it is an effective fishing fly that is a consistent producer of Bass and Panfish! 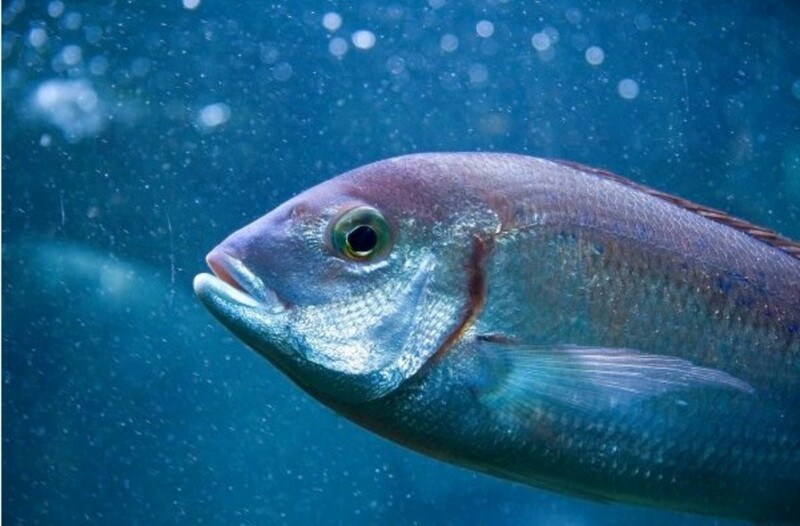 It is fished dry and is most effective in the warmer months when Bass and Panfish like Bluegill and Sunfish are seeking out easy meals that have fallen in the water—things like grasshoppers! 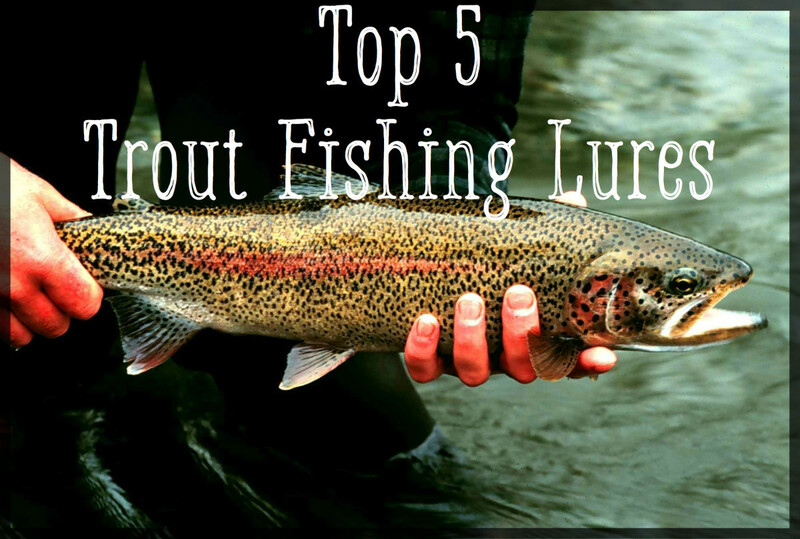 Do give this fishing a fly a try! PS: Do check out a variant of the Foam Grasshopper in the video section - Foam Grasshopper Variant - "No Chenille". 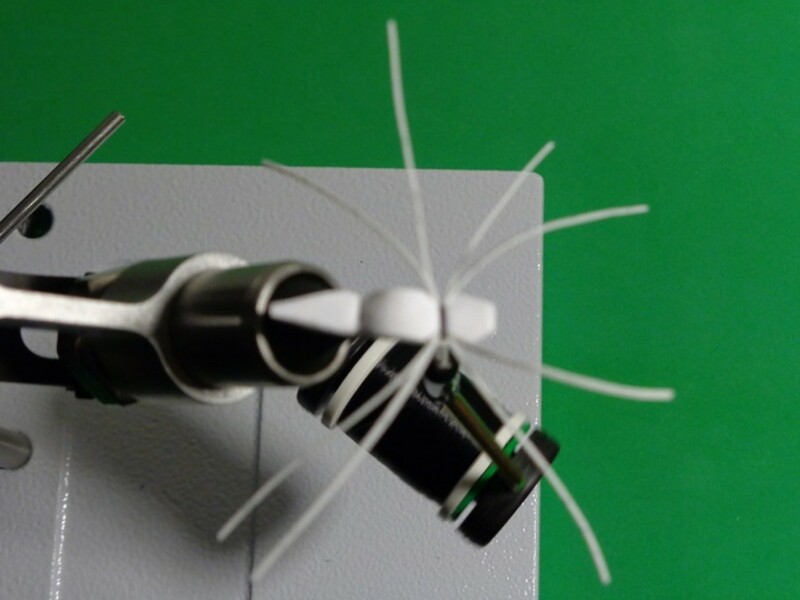 Still simple, still effective, still easy to tie! Cut the foam into a 1" by 1/4" rectangle. 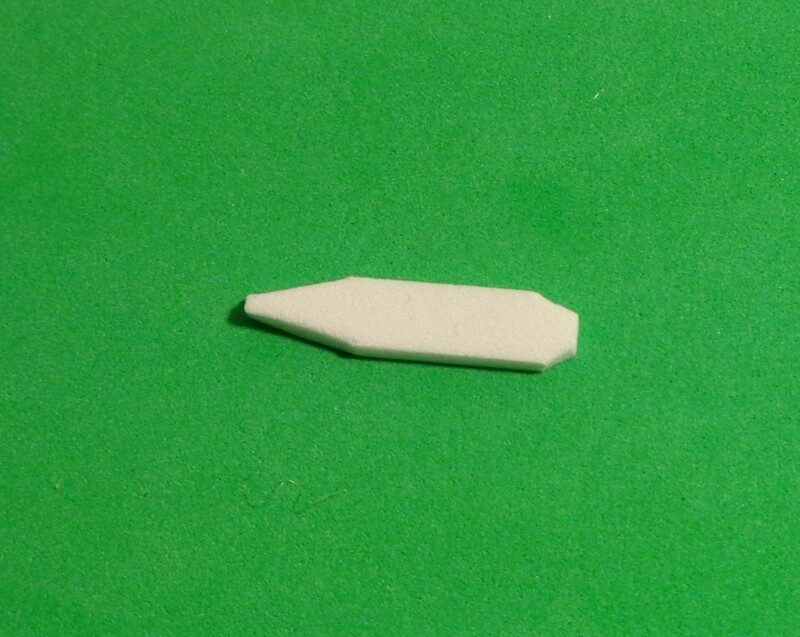 Then, shape the foam by cutting off the corners as shown in the sidebar photo. The narrow tapered end will form the tail and the wider tapered end will form the head. 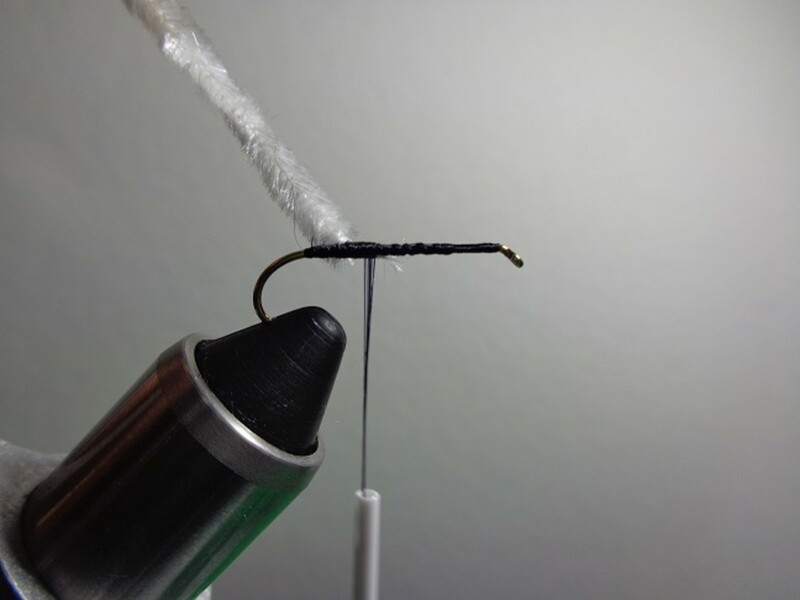 Begin wrapping a thread base as you would normally do when tying a fishing fly. Stop the wrap just forward of the hook point. And then, attach the chenille; see the sidebar photos for reference. Body attached to the hook and positioned on top. 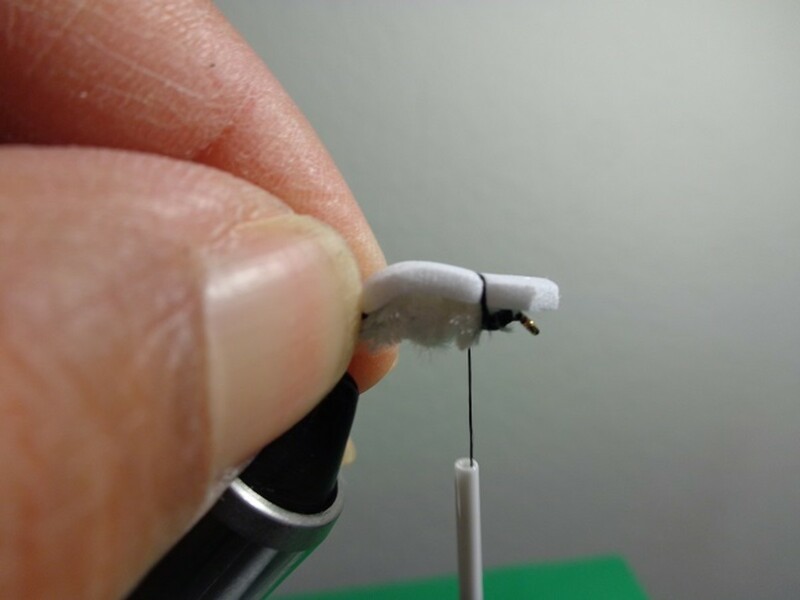 Apply glue to the thread wraps, foam body, and chenille. 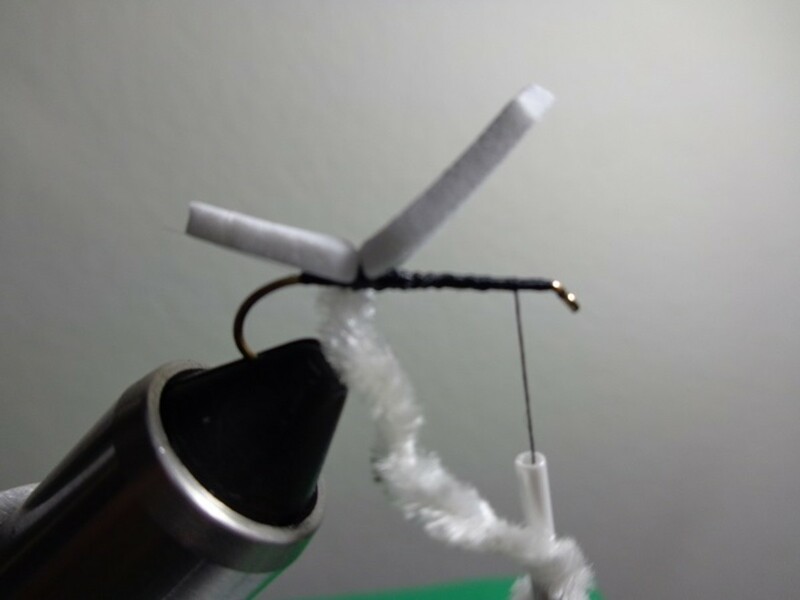 Place the foam body on top of the hook and attach the foam where the chenille was tied using a couple of wraps to secure the foam's position on the hook. Next, check to ensure the foam is resting on top of the hook. Adjust if needed. And then, wrap the thread two more times while slowly tightening the wrap. See the sidebar photo for reference. 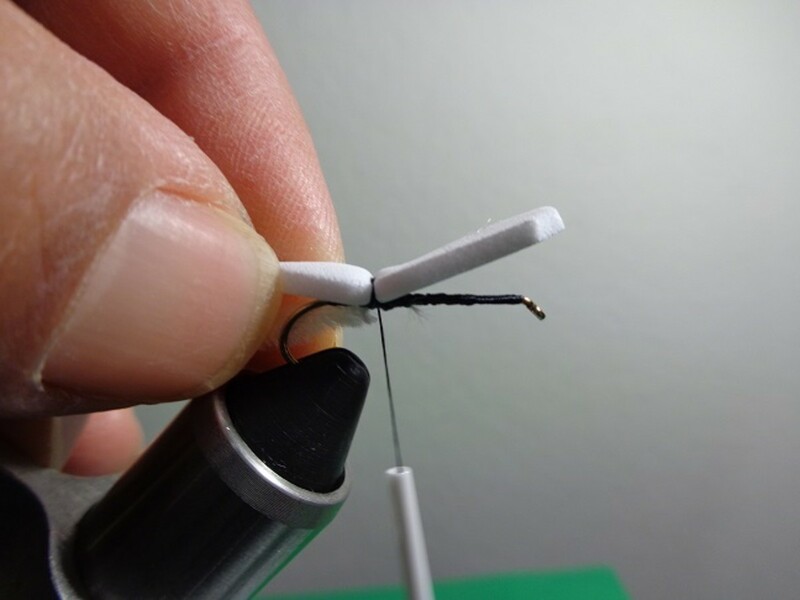 Then, apply Super Glue (or Zap-A-Gap) on the thread wraps and where the Foam and Chenille touch. 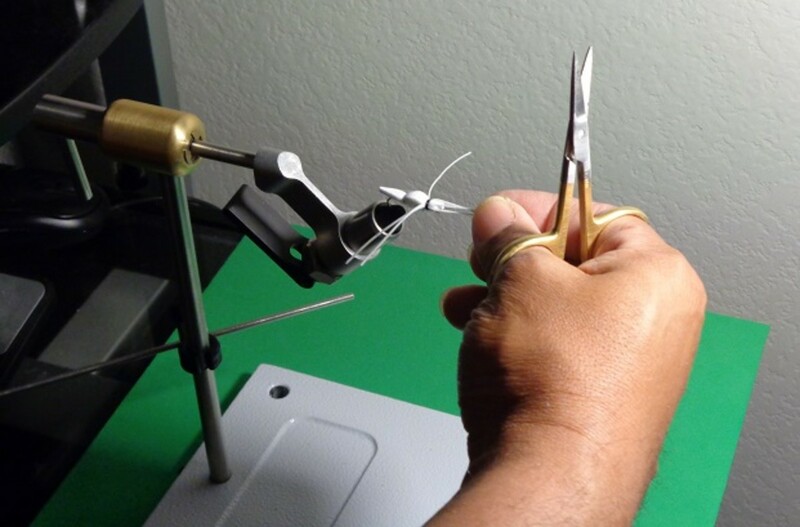 Doing so will help secure the foam to the hook and prevent the body from twisting when fished. Wait a few minutes to ensure the glue dries sufficiently. 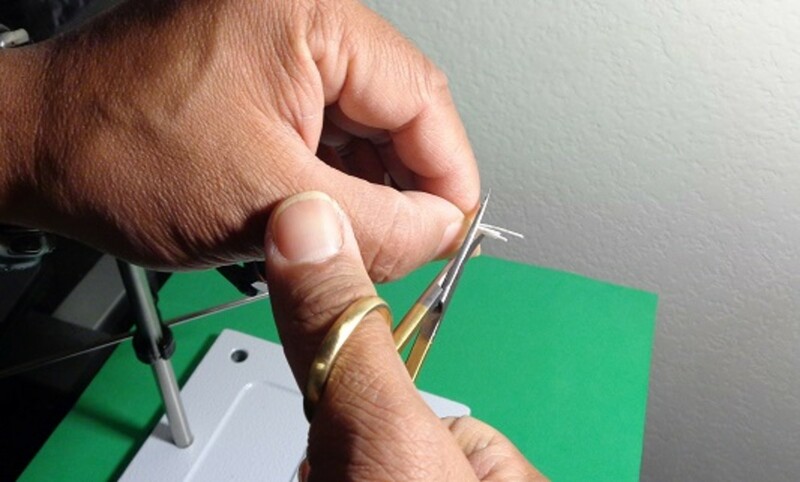 First, wrap the thread forward, stopping about a hook-eye length from the hook's eye. Then, wrap the chenille forward, also stopping about a hook-eye length from the hook's eye. 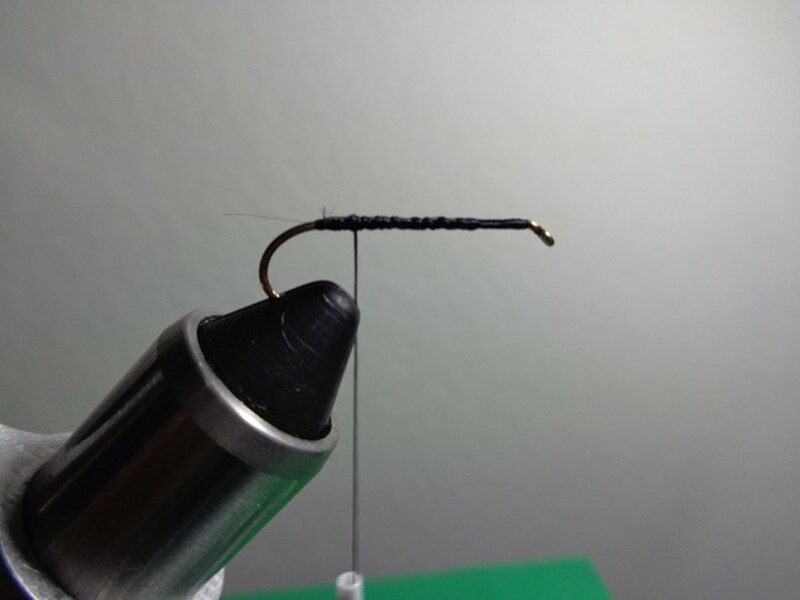 Finally, wrap the thread to secure the chenille on to the hook. 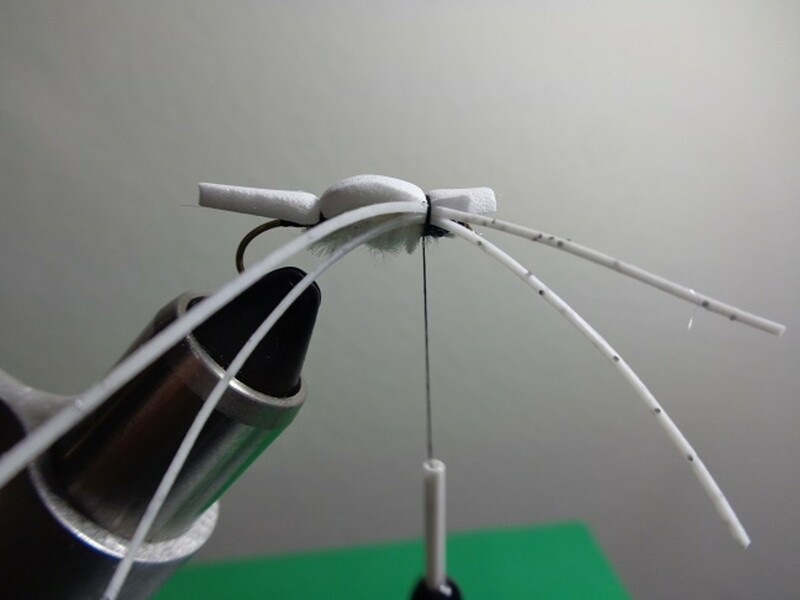 Hold down the foam so it lays flat on top of the hook. Then, form the head by starting a loose wrap about 1/4" from the foam's wider end. 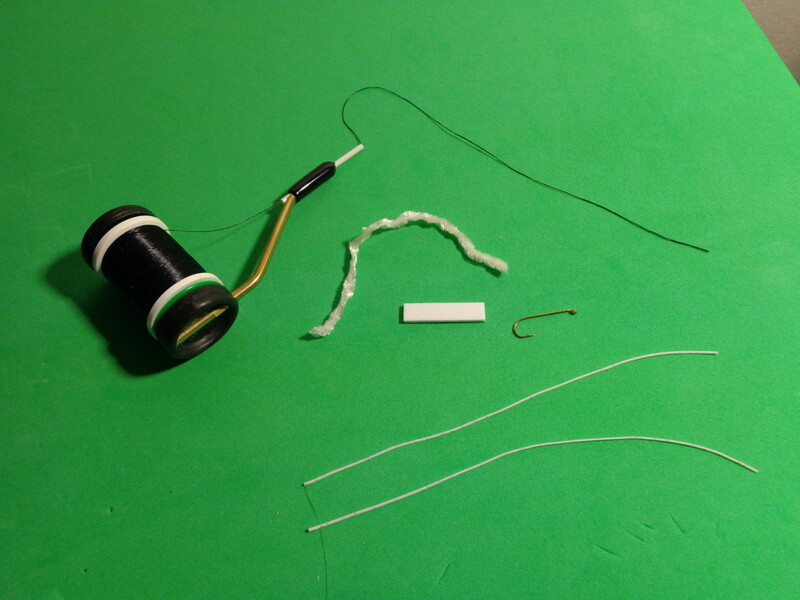 Next, in the same manner as the tail, wrap the thread several more turns while slowly tightening. See the sidebar photo for reference. Note: If eyes are desired, a Sharpie or similar permanent ink pen can be used to "dot" eyes on the Grasshopper's head. Taking the two Sili Legs, fold them in half and cut them at the fold. This will result in two sets of Sili Legs. Taking one set of Sili Legs, tie them on one side of the body. Adjust the legs so the front and back legs are close to even. Do the same with the other set of legs, tying them on the other side of the body. Adjust the legs position on the foam body so both sets of legs tend to the top of the body. See sidebar photo for reference. 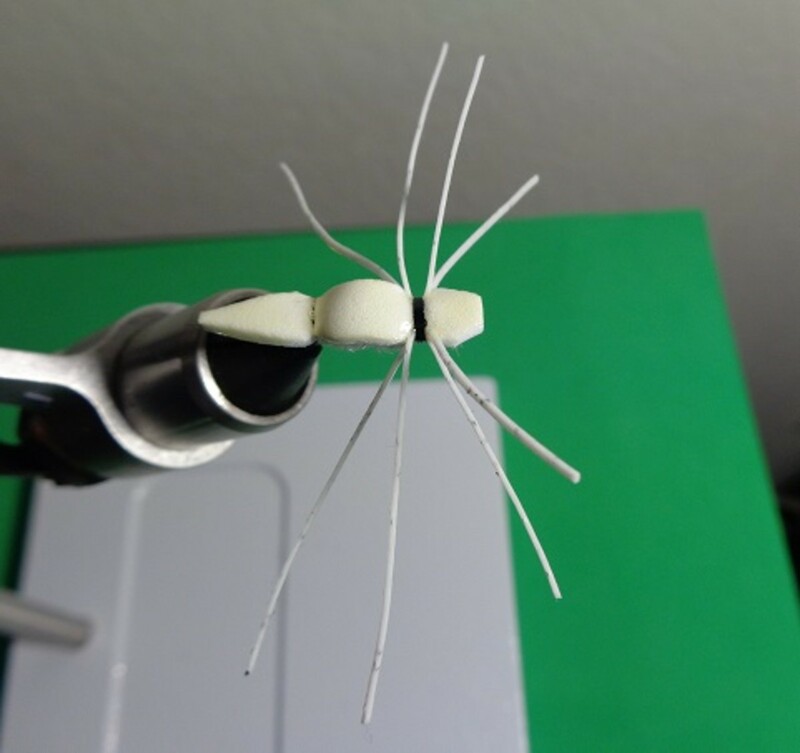 Once the legs are in place and no more adjustments are needed, secure the legs in place with three additional wraps, and then use a whip finish knot where the head and legs are tied. Cut off the thread, and proceed to the Step 7. Take hold of the front legs and pull forward. Then, trim the front legs so they are even with one another. This should result in the front legs being slightly shorter than the back legs. Once the glue is dry, apply a coat of nail polish to the top of the foam body. Allow the nail polish to dry. Once dry, the Grasshopper is ready to fish! 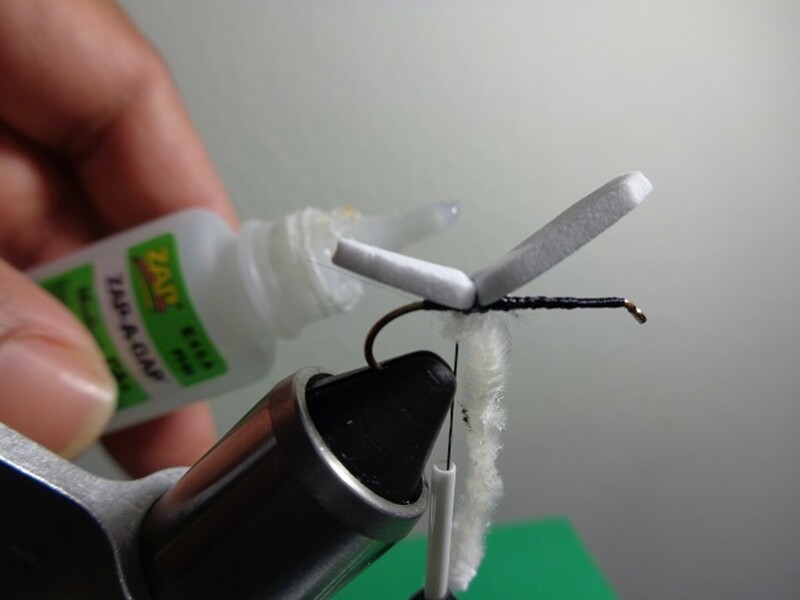 Foam Grasshopper Variant - "No Chenille"
When fishing the Grasshopper, here are a few suggestions from the COAF Field Team! After casting the Grasshopper, let the fishing fly sit undisturbed. 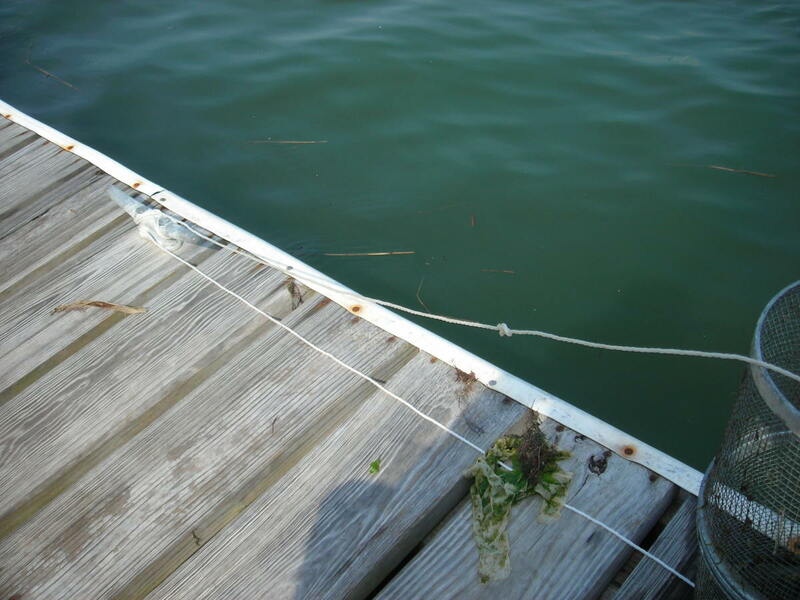 As a general rule, don't retrieve it until you see the rings that formed when the fishing fly landed on the water dissipate. (If at night, count to ten before retrieving). 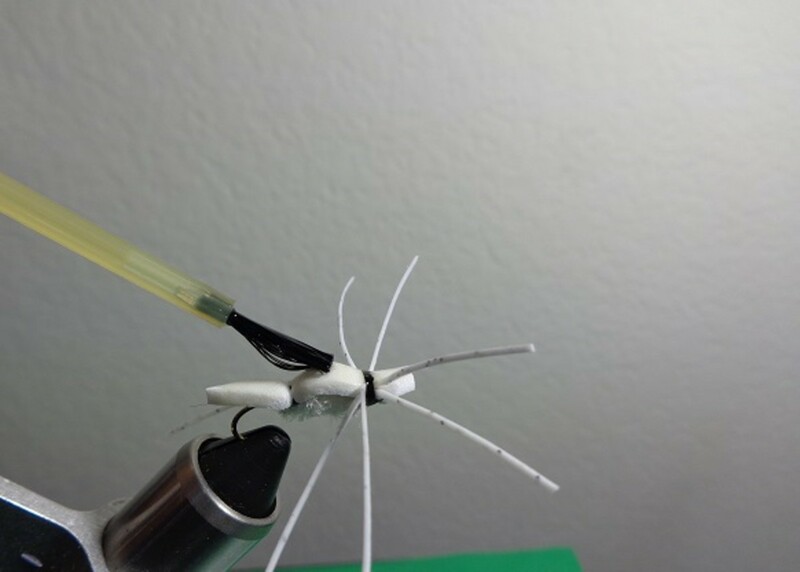 When retrieving the fishing fly, start using two long pulls on the fly line to simulate an injured bait fish thrashing on the surface or a grasshopper struggling in the water. Pause for a 2-6 count delay, and then retrieve again. When Bluegill have started to spawn and are protecting their beds, downsize the hook size as appropriate. PS: Do check out the videos below from the Team! 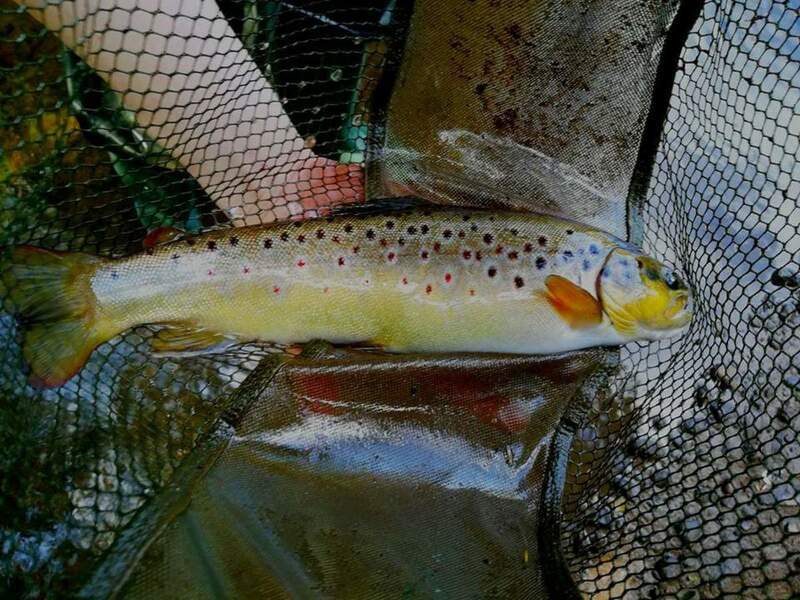 The first one started out using a different fishing fly but then a quick switch to the Grasshopper made the difference between striking out and hooking up! 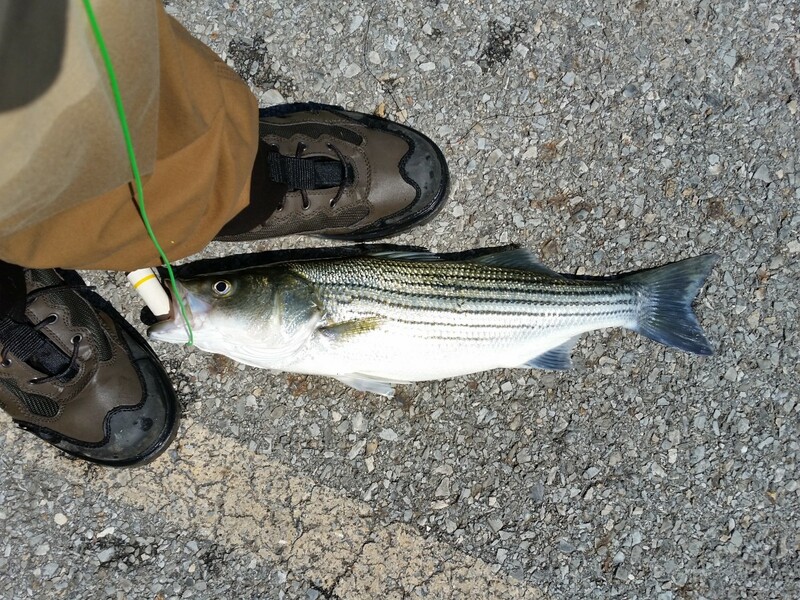 Added a new video; hooked up with a few Bass on a Foam Grasshopper. Check it out in the section "April 18, 2014"! 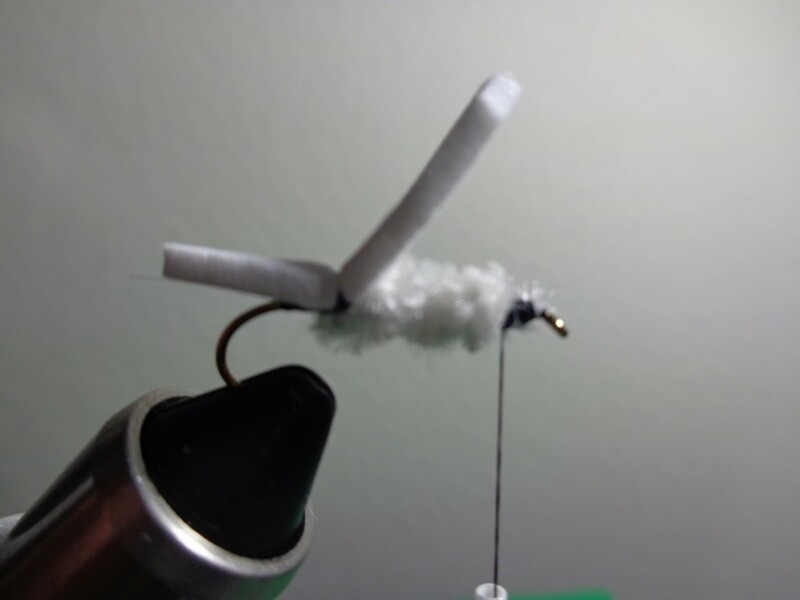 Simple fishing fly but in effective one! Hope our Readers can use this one!